We don’t usually cover races, but last Saturday’s 5K at John Rudy County Park was different. © 2012 by The York Daily Record/Sunday News. A Pennsylvania Game Commission officer attaches a ribbon with fallen wildlife conservation officer David Grove's name printed on it to a flag that memorializes the seven PGA officers who have been killed in the line of duty, prior to the start of the first annual WCO David L. Grove Memorial Run 5K race on Saturday, April 7, 2012, at John Rudy County Park. The pre-race ceremony honoring the seven fallen officers also featured a squad that shot a volley that marked the beginning of the race. Full cutline: The first annual WCO David L. Grove Memorial Run 5K race featured about 400 participants from seven states — and one from Australia — in John Rudy County Park. The race was organized by Pennsylvania Game Commission deputy wildlife conservation officer Jason Raup and Special Permits Enforcement Division chief Chad Eyler, and will benefit a scholarship fund established in Grove’s name. Grove was a wildlife conservation officer who was shot and killed when attempting to apprehend two deer poachers near Gettysburg in Nov. 2010. © 2012 by The York Daily Record/Sunday News. 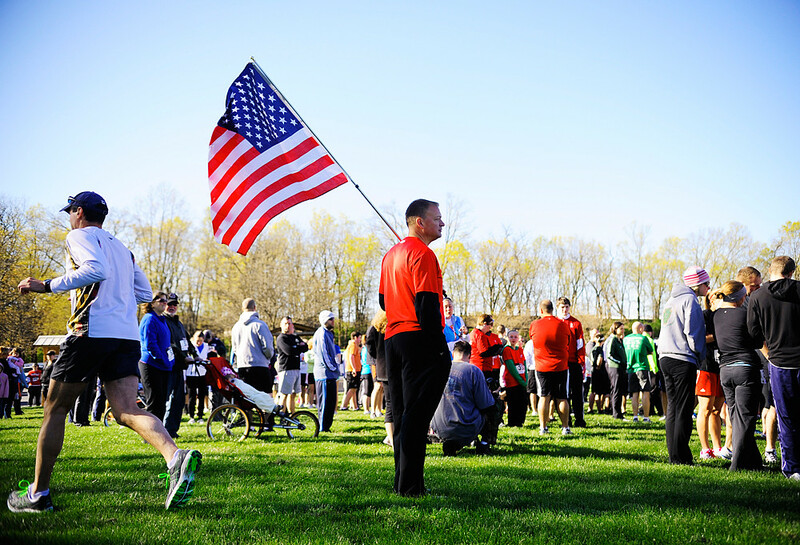 American flag in hand, John Crone of York Township stands ready near the start line of the first annual WCO David L. Grove Memorial Run 5K race on Saturday, April 7, 2012, at John Rudy County Park. 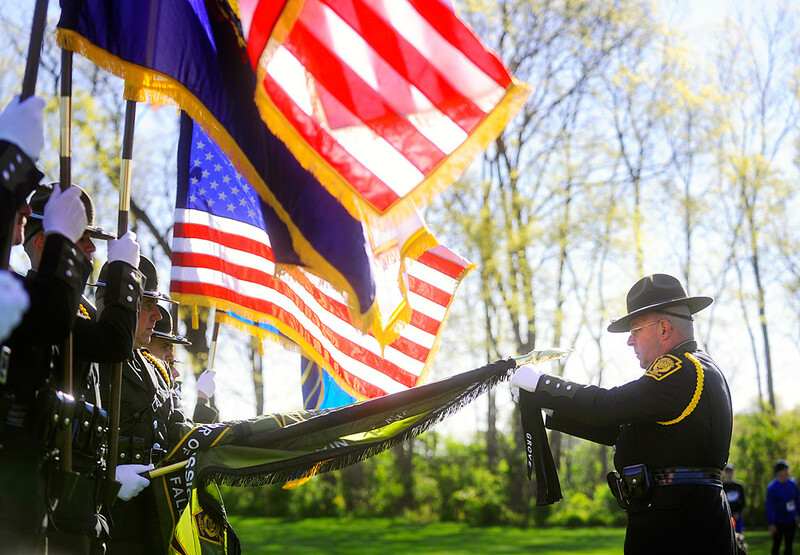 Crone said he participates in every race that memorializes a fallen law enforcement or memorial officer, and that, as a retired Marine, he carries the American flag even while jogging. Be sure to check out the video I produced, as well.